Genie Scientific and our partners offer completely customizable and functional laboratory casework and furniture to accommodate your cannabis equipment. Working alongside our partners, we build all the necessary equipment needed to run and maintain your cannabis laboratory including but not limited too fume hoods and powder-coated casework and tops. We also make sure your lab is up to Class1 1 Division 1 Criteria code from your local Fire Department. 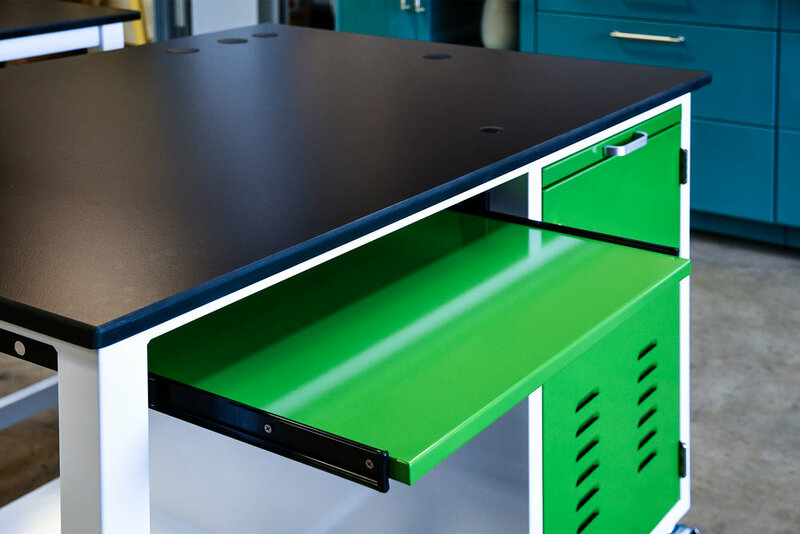 Working with our partners, we design and manufacture custom cabinets meant for your instruments, Powder-coated steel cabinetry and instrumentation. Specific to extraction laboratories, we offer a range of fume hoods needed for the various scientific procedures.